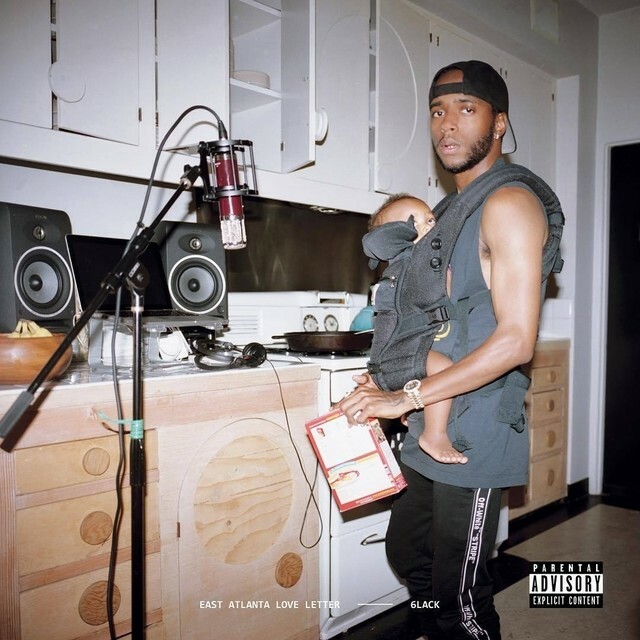 On the cover of R&B rapper 6LACK’s sophomore album East Atlanta Love Letter, the artist is standing in front of a mic while wearing a baby carrier holding his child. As he juggles his roles of artist and father, he looks solemn and anxious. It’s rare for an album cover to visually capture a project’s themes so well. After a successful debut album in 2016, 6LACK became a father and went on a tour with The Weeknd. East Atlanta Love Letter explores how fame, fatherhood, and love troubles have pushed him to reassess himself. Drawing from a palette of moody production and minimal beats, 6LACK has created a stunning, cohesive album that conveys his trials and tribulations. A-List artists like Future, J. Cole, Offset, Ty Dolla $ign, and Khalid all lend their talents. The title track “East Atlanta Love Letter” has 6LACK and Future singing over a minimal beat. Future accentuates every word, serving up his best performance in the past year. Though 6LACK leans into The Weeknd’s vocal playbook, he makes sure to add his own texture and spin. 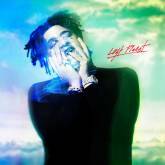 Meanwhile, “Pretty Little Fears,” proves why J. Cole is one of Hip Hop’s most skilled lyricists with verses like: “You plant a seed to grow some roots, a branch and leaves, Becomes a tree of life until our nights are filled, With peace from stress and strife, And that’s the blessing that I get from wifing you.” The lead single “Switch” has the artist beautifully harmonizing with Ty Dolla $ign’s signature raspiness. 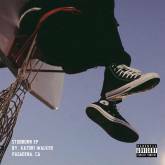 And on “Summer,” 6LACK and Khalid collaborate on a warm, vibey track that plays into both of their strengths. In addition to these masterful collaborations, 6LACK also peppers his album with spoken-word monologues from the highly creative, up-and-coming artist Tierra Whack, rapper LightSkinKeisha, and model and mother of his daughter Jaycina Almond. These outros and intros provide the female perspective on relationship issues. While Tierra Whack and LightSkinKeisha are defiant, Almond ends her monologue on “Seasons” by pondering “what might this life be like if we put our pride to the side and let love lead the way.” These moments enrich the project with a sense of balance, underscoring the sincerity of 6LACK’s efforts. Some of the best moments of the album are when the singer experiments with communicating his stream of consciousness. “Thugger Interlude” is a hypnotic hazy song about drowning sorrows with substances and trap music. On “Nonchalant,” the artist lyrically free-associates as he packs verses with pop culture references ranging from Sisqó to Issa Rae. The album concludes with “Stan,” a stellar song that reconciles his romantic struggles with his newfound fame. 6LACK promises his mate that despite all of their problems, they will love one another like a stan loves their favorite artist. 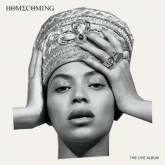 The song repurposes fervorous fan culture into something endearing and aspirational, demonstrating his ability to communicate complexity with his tranquil voice. In an era where artists hype up projects that turn out to be nothing but half-baked playlists, 6LACK’s thoughtful embrace of the album format is refreshing. East Atlanta Love Letter is a moody masterpiece that may very well take the artist’s career to new heights.